Posted on December 13, 2012 at 2:44 pm. Are All Types of Mold Dangerous? It’s amazing to note that there are over 100,000 different types of mold that we co-exist with, which makes it all the more understandable to realize that mold is everywhere and is always with us. And although we shudder when we think about living with mold, many of its species are harmless and serve an important purpose in our environment. The elderly, the very young, and people who already have pre-existing conditions such as auto-immune deficiencies or respiratory conditions are especially affected. These mold groups are the most common and are the ones that will jeopardize your health. Allergenic mold – Typically this type of mold will not cause severe illness, but rather cause scratchy throats, irritated eyes and nose and skin rashes. Pathogenic mold – This mold can cause infections and more severe health issues especially for people who have HIV, Auto-Immune Disorders or who are currently having chemotherapy treatment. Toxic mold – This type of mold actually produces toxins that are harmful. Luckily they are rare, because they have been linked to cancer and in rare cases, death. 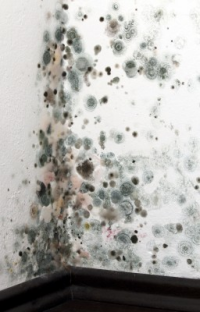 Stachybotrys, which is more commonly called black mold. (Just the name sounds ominous!) Because it is difficult to find, which gives it the opportunity to easily grow and reproduce, black mold is extremely dangerous. Unlike other molds whose spores float easily through the air, when black mold spores are damp, they become sticky making them harder to detect with air quality sampling. A lethal toxin, it has been known to be fatal to animals and cause extreme health conditions in human. Memnoniella, like Stachybotrys, is a contaminant and also thrives on organic, wet materials such as fabrics, wood, and wallboard. Their toxicity and danger are also very similar. If you are experiencing health issues that you can’t explain, or you think you have toxic mold growing in your home, you should contact a certified mold inspector and remediator to assess your situation. Posted on November 30, 2012 at 10:35 am. 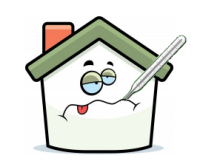 Are You a Victim of Sick Building Syndrome? You may be wondering if this is a made up term or if it’s real, but believe me, it is very real. Health issues and syndromes may be caused by buildings. Buildings, such as homes, schools, churches and offices can become toxic, and cause what is called Sick Building Syndrome or SBS. SBS is an environmental illness or Multiple Chemical Sensitivity manifested by a variety of symptoms in people who inhabit these spaces. You can see by the types of symptoms, it can be difficult to diagnose this syndrome, but one thing that can give you a hint into what the problem might be is if after leaving a building, you get relief. 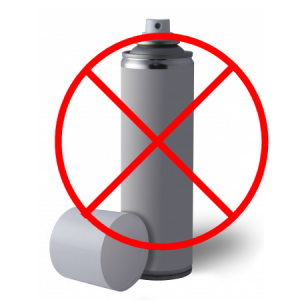 Chemical contaminants which could be anything from vehicle exhaust to adhesives for upholstery, cleaning agents or pesticides. Biological contaminants such as pollen, viruses, bacteria or mold. Mold is everywhere around us, it’s part of our natural environment, but when it takes hold and grows uninhibited in the spaces we “live” in, it can cause many health issues, even more than the ones listed above. Mold has been known to cause over 30 types of health problems. Penicillin is created by purified mold. Mold is the great wood destroyer: It destroys more each year than the combined destruction of fire, termites or floods. Mold can survive and thrive on just about any surface. 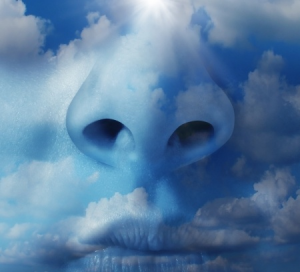 People who suffer with chronic sinus infections are usually exposed to mold growth. Mold likes dark, damp humid areas for growth. With the knowledge that approximately 50% of homes in the United States are affected by mold, it stands to reason that many of us could face the possibility of being exposed to mold and the risk of Sick Building Syndrome. If you or someone you know is experiencing unexplainable symptoms such as the ones mentioned above, you should have your home, or possibly another building where you spend a great deal of your time, inspected. Posted on November 19, 2012 at 3:01 pm. What Can Mold Do to You? 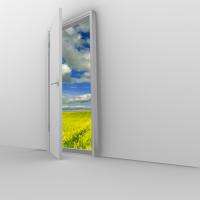 Because mold spores are always in the air, everytime you open a door or a window, you’re inviting mold into your home. It’s unavoidable. Spores can also enter your home through your air conditioning or heating systems and on the bodies of your pets as they come and go. You wouldn’t think that something so tiny as these microscopic spores could cause the damage they are able to, but because they are the reproductive cells of mold, their reason for existence is to multiply and continue their life cycle. Once they have accomplished this task, it only takes between 24-48 for growth to begin. When this happens, mold begins digesting whatever it is attached to, and if left alone will destroy it and whatever else it spreads to. More spores are then created, and the cycle continues. As you can see from this list, because mold symptoms can be attributed to any number of conditions, it is often difficult to diagnose that what you’re experiencing has been caused by toxic mold. For this reason, many people have become very ill from mold exposure. If you or someone in your home is experiencing chronic symptoms that can’t be attributed to a physical condition or doesn’t respond to treatment, you should consider having your home inspected for mold. Mold is not always visible to you because it can grow in places you don’t necessarily look at frequently, if at all. Call a professional, trying to handle a mold problem on your own can make the situation worse by inadvertently spreading it. A professional mold remediator will locate the cause of the mold, then safely and thoroughly get rid of it for you.